Android is one of the most prevalent smartphone operating systems and has plenty of options in terms of apps and games available on the official app store. However, a host of apps and games available on Play Store come under the premium category. That is exactly where a third party app store becomes a blessing in disguise. One such excellent app store is TuTuApp. How to install TuTuApp APK on your Android device? 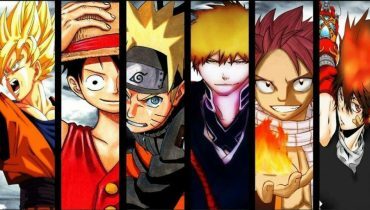 Let us explore it in a finer detail. TuTuApp is an Android app store and quite equivalent to your Google Play Store. What makes it completely different from the other options for a third party app stores is it offers you the option of providing any paid apps for free. In addition to the paid games made available for free, it also offers you access to a few modded versions of the games and apps. Collection of thousands of apps, games and even access to hacked versions of all your games. It has fastest download servers for an easy access to your downloads. It also comes with an auto Update and app management functionality. You can unlock country-specific apps and use them in any region. 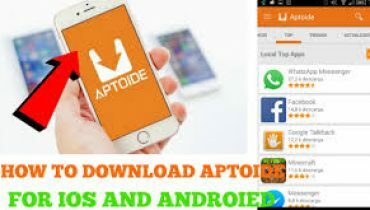 How to download TuTuApp for free on Your Android? TuTuApp is actually a Chinese app store. However, by virtue of the best features and functionalities that the app store has been popular with, they have now launched an international version in English. The official website offers you both Android and iOS versions for download and installation. If you are on Android 4.1 or above, the app store is available for download. However, before you can install it on your Android device, you will need to enable unknown sources option on your Android. Go to Settings -> Privacy. Toggle the selection to enable the app installation from unknown sources. That does it. Now you can install any app from any source even when it is not installed from the official Google Play store. Please note that if you are on Android Oreo 8.1 and above, you will get a prompt whenever you try to install an app from the third party source. The settings for Unknown Sources have to be enabled per app basis after Android Oreo 8.1. Once that step completed, follow the steps here below to complete the TuTuApp installation on your Android device. Visit the official TuTuApp website. 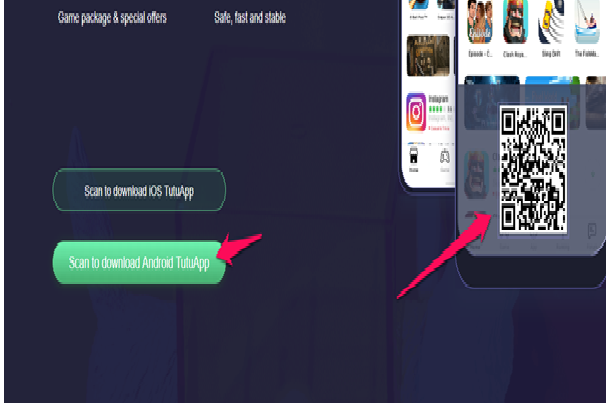 Choose the option that says Scan to download Android TutuApp. Scan the code with your smartphone. You will be prompted to visit the website. The app will be downloaded onto your smartphone. Once it is downloaded, you will either be prompted to install it. Accept the prompt and install the app on your phone. That does it, and you are good to go. This is the free version of the TuTuApp and should be an excellent option for downloading your free and paid apps with ease. You can also install the TuTUApp VIP version if you are looking for a few additional features on the app. TuTuApp VIP – What does it offer? TuTuApp VIP is an excellent option if you are looking for the additional features apart from the options for the regular app downloads. It is the special version of TuTuApp which is available for a price. The app is available for $ 12.99 per year subscription. The TuTuApp VIP is an app that provides you access to the additional features than those on the regular app. Some of the apps features worthy of mentioning include cache cleaning, battery management & optimisation and memory optimisation. However, there is a catch here. TuTuApp VIP can be installed only on a device basis, and thus if you have more than one devices, you will need to opt for separate subscriptions for each of your Android devices. Is TuTuApp a safe Option? TuTuApp is a simple app store. As such, you should not have any issues using the app in the way it has been designed for. However, you need to exercise caution on the files, apps and games you download from the store. It is a third party app store, and thus it should have the privacy concerns and issues as such. Some of the issues can be the invalid and weird permissions that a few apps on the app store will offer you. We would advise you to exercise appropriate precautions and check the authenticity of an app or game before downloading it onto your Android device. Why Use TuTuApp for Android? Well, by now you might have clearly understood why TuTuApp has become one of the most preferred options for downloading your favourite games and apps on your Android smartphone. However, if you are still undecided, here are a few reasons that would help you take a call. The app store offers you a global access to any of the apps. It does not need any sort of ID or account to download your favourite apps. In fact; you can even install the apps that are not designed for your region. The TuTuApp for Android provides you access to practically all apps and games and that includes the newest games as well. The app store also provides you access to exclusive benefits for a complete package and special offers. The app store claims that it is a safe, stable and faster option for all your download requirements. That was all we have with respect to the best options to download and install your favourite Android apps and games of your choice. If you are tired of downloading the paid apps and games, TuTuApp for Android is a great choice for all your needs. However, make sure you are downloading the APK file from the official link. Unofficial links to the APK file may be a huge concern and can be detrimental to your phone.